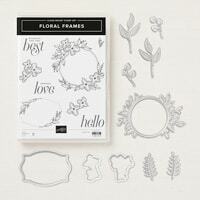 Not only will this set create fabulous card fronts, but fantastic scrapbooking elements. This will be my WOW Class to GO! in August. 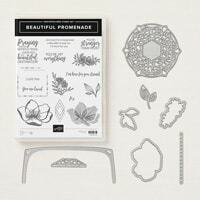 This set takes all the fear out of two and three step stamping. It's fabulous. 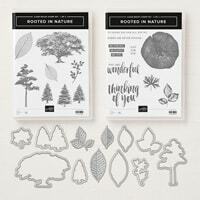 Both of the larger dies can also be turned into embossing elements with our new Big Shot Embossing Mats. Can you say fabulous? 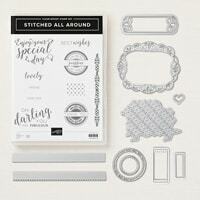 This bundle is a must have if you like stitched die cuts and beautiful sentiments. I'm a nature girl, so this was a no-brainer for me. Look out Lovely As A Tree, this one will give you a run for your money. 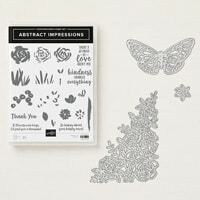 The fresh new images and fabulous cutting and embossing dies will be sure to WOW you.